Citizens of Lichtenburg, rejoice! In April, Fox Home Entertainment released the long-awaited DVD edition of the 1953 movie version of CALL ME MADAM. With its inimitable and indomitable Broadway star, Ethel Merman, recreating her role as the U.S. Ambassador to a tiny European duchy, the movie of CALL ME MADAM has been cherished by mavens for years as a flashback opportunity to see a legendary Broadway star in one of her vintage roles. The fact that the movie had never been released on DVD or video before, and that devotees could only cling to sporadic sightings of the movie on late night TV, made CALL ME MADAM an elusive prize to many. 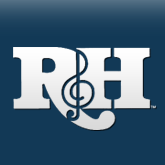 The Irving Berlin family has been eager to get this title out in circulation, and weve also been getting letters and emails from fans about this for years, says R&H President Ted Chapin. In fact, the situation was not unlike the dilemma we faced with the M-G-M movie of ANNIE GET YOUR GUN [released by Warner Home Video in late 2000],where the familys enthusiasm was merely the beginning of a complicated negotiation to get the title released. 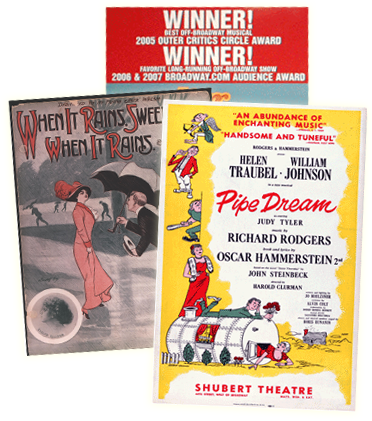 How great that now the movie versions of Mr. Berlins two best Broadway musicals are both available on DVD. Directed by Walter Lang, choreographed by Robert Alton and presented by 20th Century Fox, CALL ME MADAM surrounded Merman with a great supporting cast lead by Donald OConnor, Vera-Ellen and George Sanders. The stage musical, with a timely book by Russel Crouse and Howard Lindsay, was based ever so slightly on President Harry Trumans appointment of Washington society hostess Perle Mesta as U.S. Ambassador to Luxembourg; it made a smooth transfer to film, now neatly preserved in the pristine DVD format. The film looks splendid in its full-screen DVD transfer"" reported Broadway.com. Because it enshrines Mermans zesty performance, CALL ME MADAM is among the most valuable screen adaptations of a stage musical and its first video release is an event. Cinema Laser Review wrote, CALL ME MADAM is a genuine delight that is making its long overdue debut on DVD...This is a disc you will want to add to your collection, and DVD Review warned, When Merman belts forth, hold onto your hat! CALL ME MADAM on DVD also features the theatrical trailer and full-length audio commentary from musical historian Miles Kreuger...For more, visit www.foxhome.com.